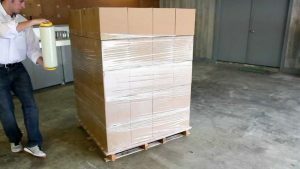 Stretch films have become so widely known and used in many industries to package and transport pallets from one point to another. When used appropriately, a stretch film can secure your packages through the whole transportation process. 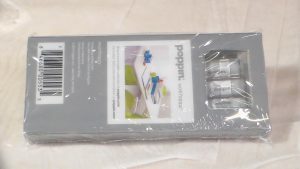 They are very handy especially when you need to transport multiple boxes or items through a pallet and also ensure that nothing moves or falls off during the whole process. These applications may look simple at first glance, but there is much more to it than meets the eye. There are certain guidelines you need to follow to ensure the proper safety of both you and the items at all times. 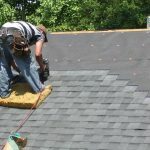 First, you need to squeeze out about a yard of plastic and use about 8-10 inches of that to form a rope which you will use to start the whole wrapping process starting from the base of the pallet. From there, you proceed to go account that pallet about five more times just to make sure that everything is wrapped up tightly. The main goal is to fixate all the items inside the pallet. 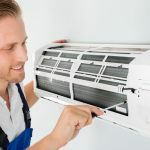 After you have completed this process, you need to check again if anything moves and if so, you can simply make a couple more of passes just around the problematic parts to ensure that everything is stable. How thin should your stretch film be? Many people usually prefer the thinner stretch films in an effort to try and save on costs. But then you need to ask yourself if that is a good idea. In fact, you need to know that using thinner stretch films don’t automatically translate to money savings. 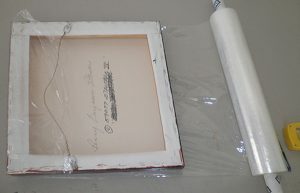 You will even end up using more of the stretch films since the thinner stretch films usually have weaker wrapping force and are bound to break easily. And the extra stretch films will cost money. So, it’s better to go for the thicker stretch films, especially if you are wrapping bigger and heavier objects. Pallets need to be wrapped from the bottom going up and after you have done that but still realize that the contents are still moving around or aren’t stable enough, then you can always apply an additional layer of the stretch films from top to bottom just to make sure that everything if fixated. You can then tear away any extra wraps and use them on the pallet edges just to make sure everything sticks to where they are needed. 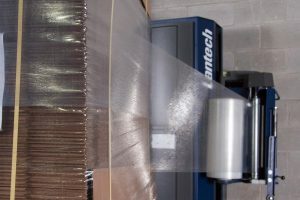 When do you need to use a stretch film wrap machine? 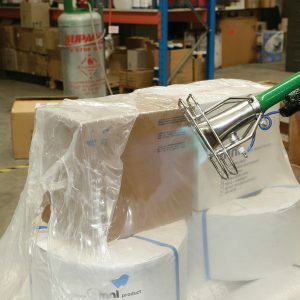 You may need to opt for a stretch wrap machine if your company has one available. You will have a much better-streamlined packaging process using these machines than doing it manually. The whole process will also be much faster to complete. Follow your workplace security guidelines and use your common sense as well.